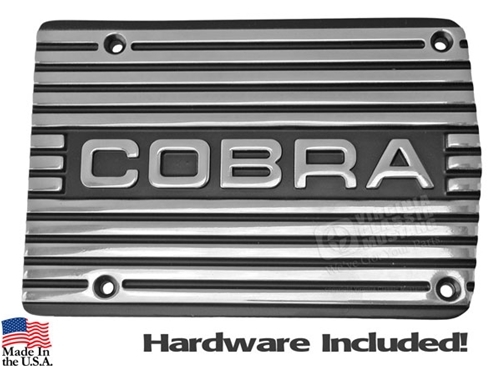 This cover has "Cobra" across the top with matte finish on the fins and fits the original air conditioning compressor. They are easy-to-install, bolt-on items and come complete with hardware. They add a great touch to your Mustang when combined with our matching aluminum valve covers.